On July 29th, 1945 an aircraft made an abrupt landing in a field near Rehins in County Mayo, in the west of Ireland. The war was but months over in Europe and Ireland had seen its fair share of crashes as can be seen on this site. This was one aircraft I early on knew nothing about. The kind help of a number of researchers and a viewing of the files at the Irish Military Archives however, have allowed some what of a picture to be built up. The photo at left was scanned from the book 'Landfall Ireland' by D MacCarron. 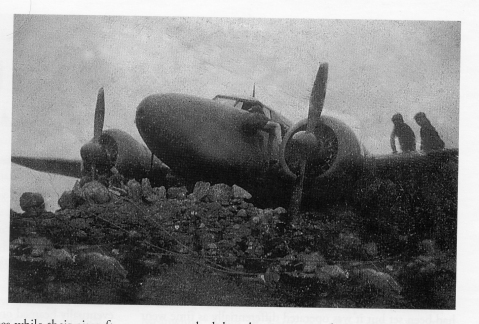 In this book the photo is incorrectly titled as a Lockheed Ventura from another incident. The photo in that book was credited to Mrs Ursula Teague. I would like to make contact with this family if at all possible. The two blade propellers on the aircraft in the photo are a give away that this is a lighter aircraft than the Ventura bomber. Research found details of the aircraft's July 29th 1945 flight from the local Ballina Herald newspaper. This local newspaper told that the Lockheed was en route from Collinstown [Dublin] to Lough Erne when it force-landed in a field at the rear of Mr Frank Trimble's farmhouse at Rehins, 1.5 miles south of Ballina, County Mayo, and hit a wall, damaging the undercarriage. On board were "Flt/Lt Charles Dold", from New York, "Flt/Sgt Hale", from Texas, and two un-named civilians, an Englishman and a Norwegian. No one was hurt. The aircraft had run short of fuel and was off course. To further report from the article, it went on to make a landing in a field which the reporter told was the only suitable field in the area. The only damage caused to the aircraft was reported to be "an engine cowl, a wheel and one arm of the retractable undercarriage". The article goes to dramatically describe how "Having over run a hill, the plane was rolling fast towards" an outhouse adjoining Mr. Trimbles house when "the pilot in an endeavour to 'avoid what would have been a disatrous crash, swung the machine around almost at a right angle". It continues "One wheel then hit the top of the wall a glancing blow and the aircraft came to a rest astride the wall. Word was immediatly sent to the military in Castlebar and within a short time a number of Army men arrived to guard the machine. In its sombre green and brown camoflage paint, the plane was quickly surrounded by a large crowd of sightseers". In contacting Mr. Trimbles son Wesley in 2008, he confirmed that no items or memories of the crash were retained by the family. Franks son was born after the event and he records that his parents never mentioned the crash much in the ensuing years. He does recall that they said that they provided food to the soldiers that were stationed at the aircraft. The site of the crash is now covered by a cattle shed but the field that they landed in was a large field and as such would have seemed a good choice for landing in. A shorter news story in the July 31st, Cork Examiner lists those onboard as, Wing Commander T. S. Cotton (London), First A/C Charles C Dodd (American), Sgt. Hale (Texas) and Mr. Janessen (Norwegian, London). 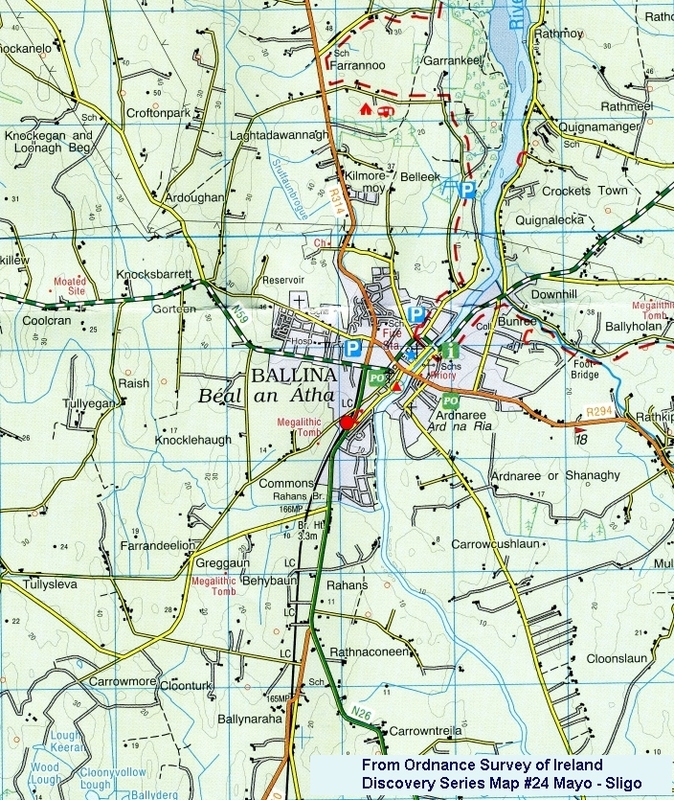 The men stayed in a Guest house in Ballina on the night of the crash. An entry on the 30th July by the Western Command G2 officer notes that the aircraft carried no markings except for the "American star". No serial number was recorded in the Irish Military files. On the 31st July permission was granted and customs permits arranged to allow the crew to have parts for the aircraft sent over the border in order that the Lockheed be repaired on site and flown out. It was noted that both the 'Army' men on board were in uniform, referring presumably to Dold and Hale. The August 1st entries then mention that all but Sgt. Hale had left the area on the previous day and crossed into Northern Ireland and the replacement parts had not arrived. By the 2nd of August, it had been decided that the aircraft was to be salvaged and a party was to be escorted from the border to the aircraft to carry out this work. The report mentions at this point that Sgt. Hale, after four days, "remains behind on rations with the 1st Btn". 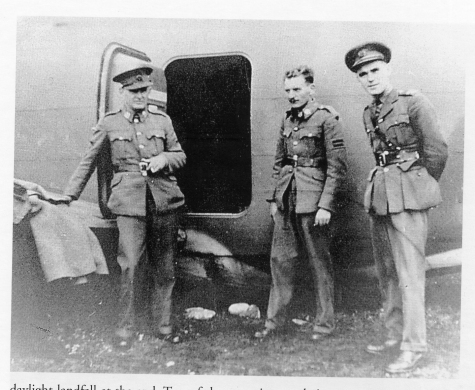 Troops from the Irish Army 1st Battalion having provided the guard for the aircraft. The log for August 5th records that a call had been received by Western Command that the aircraft was prepared for transfer across the border in two low loader loads. One was scheduled to pass over at 17:00 on that day while another, larger load would pass through Monaghan the day after. That was my reading of the report at least. How then to identify the aircraft involved in the crash. In 2003, a query arose on the AB-IX forum concerning a British Ministry of Aircraft Production (MAP) contract to Short and Harland to cover the repair of a "US Navy R30-2947". John Gregory identified the aircraft as 02947 and Vic Smith was able to supply further information confirming the repair. 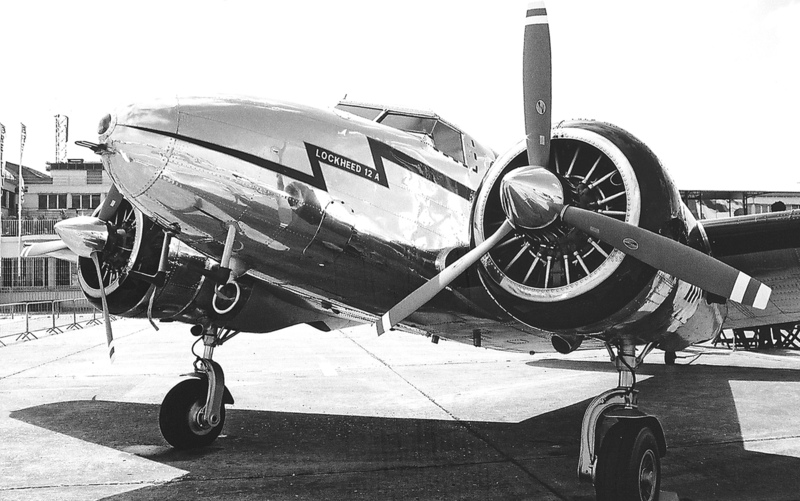 The subject aircraft, Lockheed 12A, construction number 1287 was delivered in August 1941 and assigned the US civilian registration NC33615. The original log books are not known to exist but sources record that the aircraft was ordered by Sky Kraft (or Skycraft) Corporation of Mobile, Alabama. It is suggested that the aircraft was bought by the famous Astor family or by the Guggenheim Foundation but this is unconfirmed. With the subsequent entry of the US into the war, the aircraft, like many others, was impressed for military use and passed on to the US Navy command where it gained the US Navy Bureau of Aeronautics serial Number 02947. It seems to have flown for some months in the United States, based at NAS Quonset Point, before being sent to England. The archives of the Commander United States Naval Forces in Europe (COMNAVEU) in April 1942 contain the following statement, which may relate to 02947: A letter of April 18, 1942, from Commander United States Naval Forces in Europe to U.S. Naval Forces in Europe, stated that, beginning April 23, 1942, the Lockheed aircraft attached to the Embassy Air Unit at Hendon will maintain frequent flights between London, Belfast and Londonderry. for the purposes of transporting Army and Navy passengers, mail and light freight. May 31, 1944: Commander, U.S. Naval Forces in Europe transferred one (1) JRF, one (1) R3O and two (2) Oxford aircraft to headquarters Squadron Seven for administration and directed that a service unit be established at the Royal Air Force Station Harrowbeer to maintain these aircraft. July 4th, 1944 R3O aircraft bureau number 02947 was detached from Headquarters Squadron SEVEN by Commander, U.S. Naval Forces, Europe. December 28th, 1944 R3O-2 aircraft bureau number 02947 was assigned to Headquarters Squadron SEVEN after having been received from Naval Attache's Office in London. The US Navy Utility Squadron was based at RAF Hendon north of London. The then Commanding Officer of both the Dunkeswell and Hendon squadrons, Lt/Cdr. 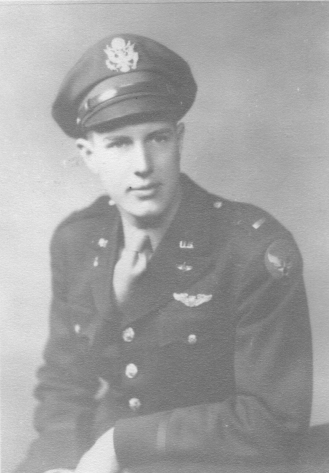 Clair W. Waterbury was contacted by John Gregory and was able to give details of the aircraft's service with his squadron. It was kept in civil configuration and, at war's end, used very much as an executive transport, carrying military and civil dignitaries around the recently liberated Europe. John was able to trace flights it had made far and wide to Paris, Naples and Copenhagen, sometimes with London Embassy staff. Some discussion of the names of those recorded as being on board the aircraft out side Ballina is required as the various sources above, do not go into great detail. The Cork Examiner had that it was one T. S. Cotten, this may well be the next owner of the aircraft, Frederick Sydney Cotton? He held the rank of Wing Commander during the war with the RAF. If this is the case, Mr. Cotton was quite a famous personality during the war. Some sample websites about him are presented below this article. The Mr. Jonasses from Norway? At this time, I know nothing of him but I do still hope to find out who he was. One Charles C. Dold from Erie County, New York, enlisted with the US Army in 1942 in Ohio. He wrote to me in 2008 to say that he was at that time assigned to the in London Embassy, the successer body to the Harriman Mission. This US government body was linked to the US Embassey in London. Mr. Dold, who went on to study business said how he and Sgt. Hale stayed over night in a Dublin hotel. He did not however remember much of his passengers or of the mission he flew that day. The photo below shows Charles C Dold with his wartime bomber crew from the 34th Bombardment Group (Heavy) of the US Army Air Forces. He flew the Boeing B-17 bomber on missions over Europe. He is the second from the left, standing at the rear of the group. This photo came from the website of the late Gary Ferrell on the 34th Bomb Group Valor to Victory. The portrait image comes from his prewar Oberline University magazine. In 2008 Mr Dold wrote a letter in which he said. 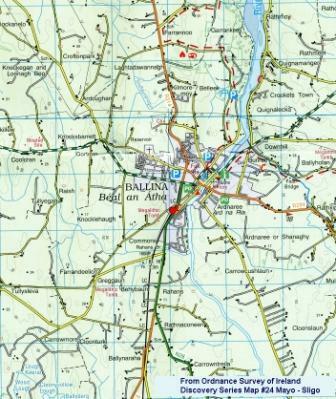 The reason I crashed in Balina was that I ran out of gas - a stupid thing to do. I did not know how to buy gas in Dublin. I beleive the pictures you sent were probably of my plane. I presume the passenger Mr Cotton may have been the Australian but I really don't know. As I remember Mr. Jonasses was the Norwegian but I am not sure of the name. Sargaent Hale and I stayed the night before the crash in some hotel in Dublin. I don't remember the mission of that flight. Nor was the aircraft assigned to the U.S. Embassey. At that time I was. My role at the economic Mission was as pilot. I stayed there for another year beforoe being sent back to the states and discharged. Delivered 26 Nov. 1946, E-10601 19 Nov. 1946. Used for radio aids development work. C. of A. 5 Dec. 1946, to Aeronautical & Industrial Research Corp. 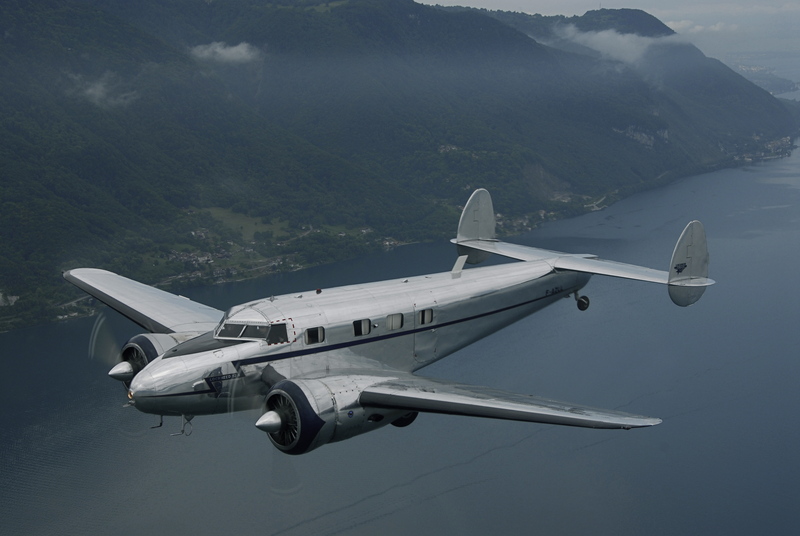 Subsequently (from the Lockheed Twins), the aircraft was sold on to K. McAlpine in May 1957 and used by Sir Robert McAlpine & Sons Ltd. Sold in France in Jan 1961, it became F-BJJY on 15 March 1963 with 'Escadrille Mercure'. Despite a series of landing accidents, it remained with them until its C. of A. expired on 08 June 1981. It was then sold to Paul Boucher & Phillippe Denis and delivered April 1982 to La Mole. Its C. of A. expired July 1989. the registration was cancelled 29 August 1996 and it was withdrawn from use. It was sold to Jean-Luc Langeard and re-registered F-AZLL in which marks it appeared at the Paris Air Show in 2003 looking better than new! The aircraft now sports three bladed propellers. Many photos of the aircraft are available on www.airliners.net, just search for F-AZLL. Below are two web-sites on the Lockheed 12A giving pilot reports and www.airbum.com. (Lockheed 12A, c/n 1277 - coincidentally another former Cotton and Escadrille Mercure aircraft, also still active (as N112LH)). And so a little more information is added to the history of Irish Wartime crashes. The above story was put together from work carried out by Antoin Daltun, John Gregory, George Kernahan and Vic Smith with input's from various books and from Clair Waterbury, a wartime pilot of the subject aircraft. Many thanks must go to the four gentlemen for passing the information to myself and allowing its use. They are all members and users of the AB-IX Air Britain Information Exchange. Thanks also go to the Irish Military Archives for the use of their files. A thread from the 12 O'Clock High message forum, discussing some of Cottons activities. History of USAAF C/UC-40 aircraft.